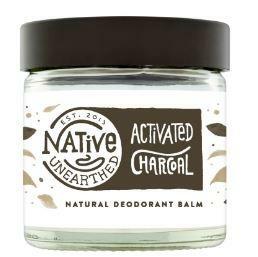 An award winning long Lasting Natural deodorant balm, Native Unearthed have designed this balm deodorant to keep you fresh on your most demanding days. A delicate blend Of Coconut Oil, Lavender Sprigs, whipped Shea Butter & Sage Leaves, made from high performance, kitchen based ingredients you can trust. 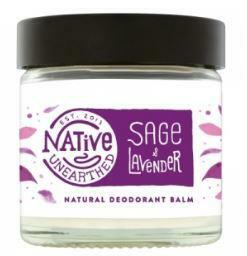 How to use Native Unearthed Natural Sage & Lavender Deodorant Balm; Apply a Pea Sized Amount To Clean Underarms and rub in. The deodorant will melt on application and dry instantly. Clary Sage Essential Oil – For a Gentle Floral Finish. 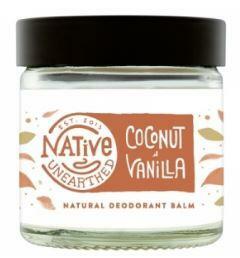 Discover more about the brand Native Unearthed. Packaging; Recyclable Jar. Check local recycling for cap.